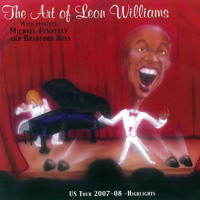 Classically trained, Leon Williams is an extremely versatile baritone who soars to tenorial heights with ease and power, is committed to every word of text and takes the listener to a place which completely surpasses mere entertainment. Leon has wowed audiences around the globe with his impassioned interpretations of everything from the cantatas of J.S Bach to his performance of the leading role of Coalhouse Walker Jr. in the original Broadway production of the hit musical Ragtime. 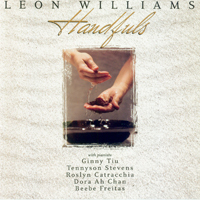 Baritone Leon Williams was born in Brooklyn, New York and currently resides in Honolulu, Hawaii where he assists in leading worship at First Presbyterian Church of Honolulu at Koolau. 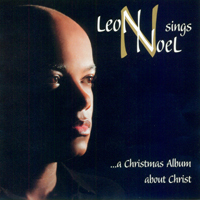 Leon has earned a fine reputation on several continents for his warm, handsome voice, charismatic personality and impassioned interpretations of vocal works from the cantatas and passions of J.S. Bach to premieres of works by contemporaries, William Bolcom, Stephen Flaherty, Charles Wuorinen, John Musto, Lee Hoiby and Harold Farberman. A graduate of the world renowned Boys Choir of Harlem, Leon holds a Master of Music degree from the Juilliard School in New York City and a Bachelor of Music degree from Westminster Choir College of Rider University. He has performed on major stages throughout the world including the Kennedy Center, Carnegie Hall, The New York Philharmonic, St. Petersburg Philharmonic in Russia and the Osakadome in Japan. Leon has received invitations from major orchestras around the world to perform the Requiems of Mozart, Brahms, Faure, Durufle and Britten, Mendelssohn’s Elijah, Haydn’s Creation, Vaughan Williams a Sea Symphony and Carl Orff’s Carmina Burana. Baltimore Symphony, American Symphony Orchestra, Orchestra of St. Luke’s, Florida Orchestra, Kansas City Symphony, Grand Rapids Symphony and American Symphony orchestra are but a few of the many orchestras where Leon has become a favorite. In Opera Leon has performed at Toledo Opera, Hawaii Opera Theater, Dallas Opera and in 2009 will reprise his critically acclaimed interpretation of Papageno in Mozart’s opera The Magic Flute at El Paso Opera. On Broadway, Leon has performed both leading roles of Coalhouse Walker Jr. and Booker T. Washington in the original Broadway cast of the hit musical Ragtime opposite Broadway greats, LaChanze, Brian Stokes Mitchell, Judy Kaye, Audra MacDonald, Marin Mazzie, Alton Fitzgerald White and the late Tommy Hollis. Passionately devoted to the art of the song recital Leon has shared the stage with great composer/pianists Ned Rorem, John Musto, Eric Zivian and William Bolcom in every concert hall of his native New York City as well as over 500 cities throughout Europe, Japan, South America and the United States. Although Leon possesses an undeniably well-trained, highly burnished baritone voice he has the ability to communicate in a way that is wholly organic and human in nature making the listener feel that the songs are coming directly from the heart. 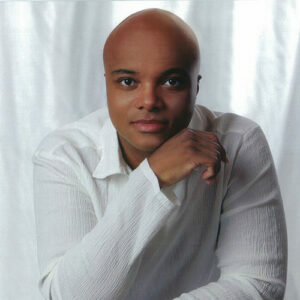 Leon is truly one of the most versatile vocal artists you will hear today. His contribution to the Watchfire Music catalogue represents a reckless abandon of the voice and the heart freeing him to create some of the most impassioned readings of these songs ever. Beautiful music and a great song selection sung with great warmth and feeling. I have been taking your CD to varying places letting people hear the great voice that God has given you.